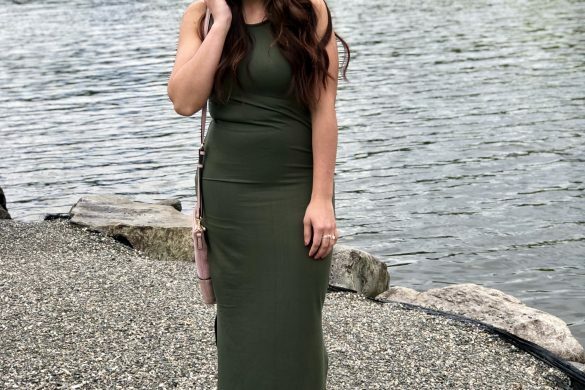 I can’t wait for the warm weather so I can talk about flowy dresses, but in the mean time let’s talk about your winter wardrobe. 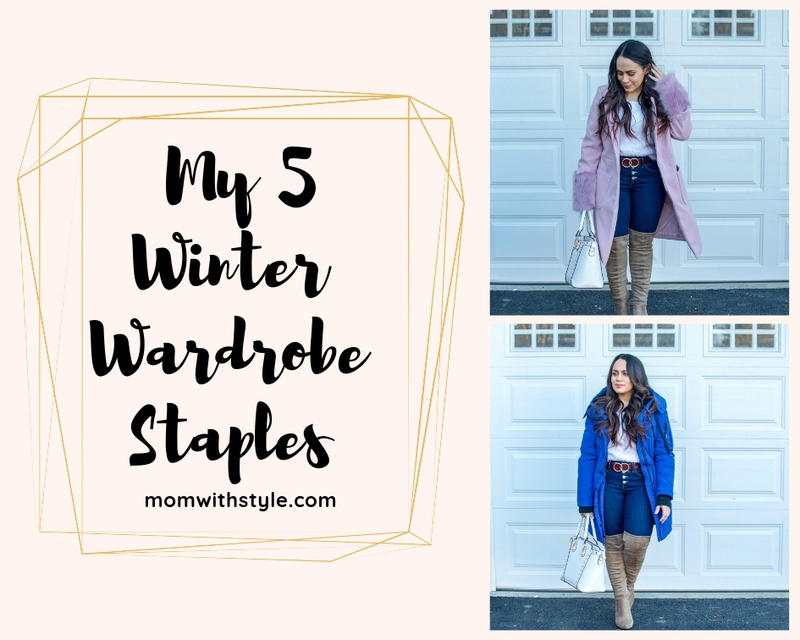 Do you believe in having certain staples in your wardrobe for each season? I live in upstate NY where our winters are dreadful and long. 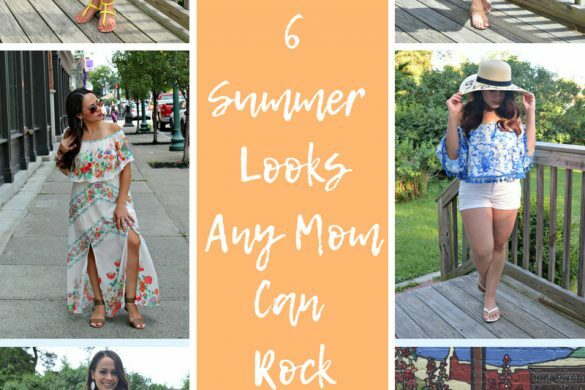 You can easily loss your sense of fashion through these tough months. Partly, because you feel like you’re always wearing the same thing… boots and jeans. But these are the months you have to be most creative with your outfits. Don’t let the gloomy weather mess with your style. 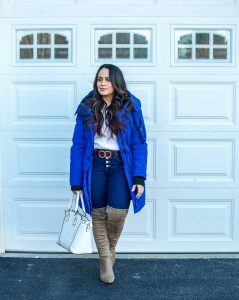 One way of getting creative with your outfits is knowing what winter wardrobe staples you need in order to expand your looks. 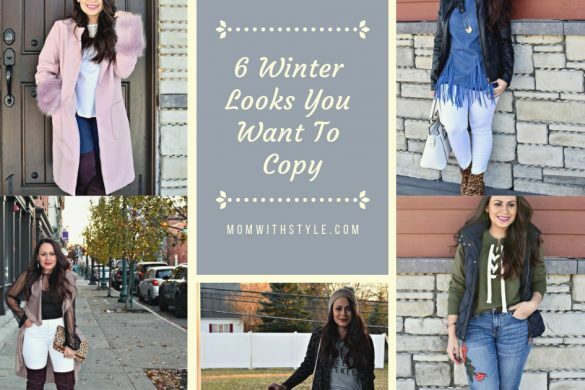 My 5 Winter wardrobe staples may appear typical, but without them my winter looks will be boring. These staples helps me expand my creativity to make sure I don’t spend these months wearing “boring” outfits. Because winter is just too long for that, right? Its a no brainer you need a practical coat that will keep you super warm as the temperatures drop. But just because you need a practical coat doesn’t mean your has to be basic. 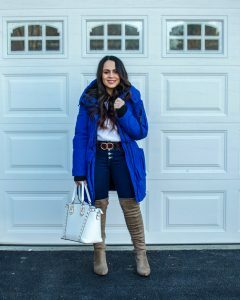 Look for ones that are a pop of color that goes with most of your wardrobe to light up your winter, yet still keeps you warm and toasty! As much as you need a practical coat, you also need one that is more dressy for special events. 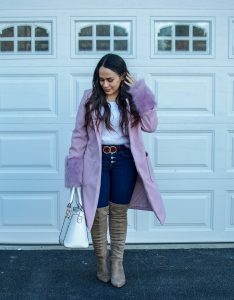 I lacked on my coats big time last winter, so I definitely had to step up my game. I am all about the romantic styles with a soft color and bold details like fur sleeves. 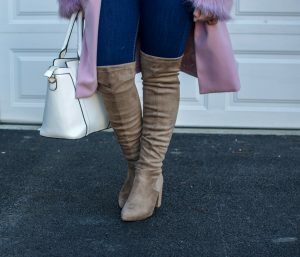 I love a great pair of over the knee boots. They instantly transform your look, having you look like a total babe. You can wear them with jeans, dresses, skirts. Shoot, even wearing them with leggings and still manage to look so put together. Plus, they keep your legs and feet warm. Double bonus! My favorite item to buy (besides shoes) are jeans. I have a passion with jeans, because it took me a very long time to find a pair I truly love. Jeans aren’t as easy to shop for. But when you find the prefect pair, there will be no stopping you! Most of my winter looks consist of jeans. Having a pair I love is essential! Invest in a clean, classic skinny jean to incorporate in your winter wardrobe. I live in sweaters all winter long. Its my favorite staple because you can definitely play around with a ton of different styles. I am into fuzzy sweaters this season, because on top of it being really warm, they are so stylish. 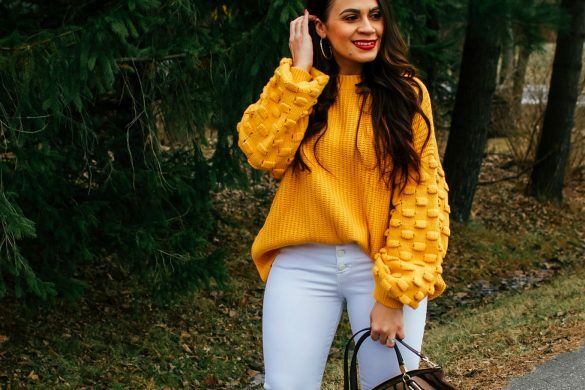 Another sweater style I am loving this season is chenille. They feel like butter!! 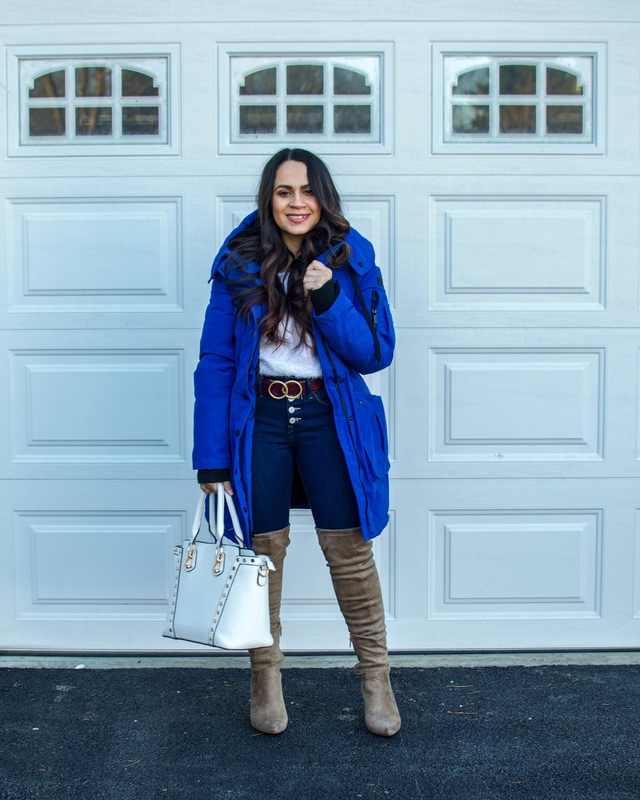 What are some of your favorite winter wardrobe staples? Since we are in the topic of winter wardrobes, doesn’t Elise from Sparkle and Slippers look so fab in this look? A total diva! Can’t get enough of her boots. Make sure you stop by and say hi!! I love all your cold weather staples! 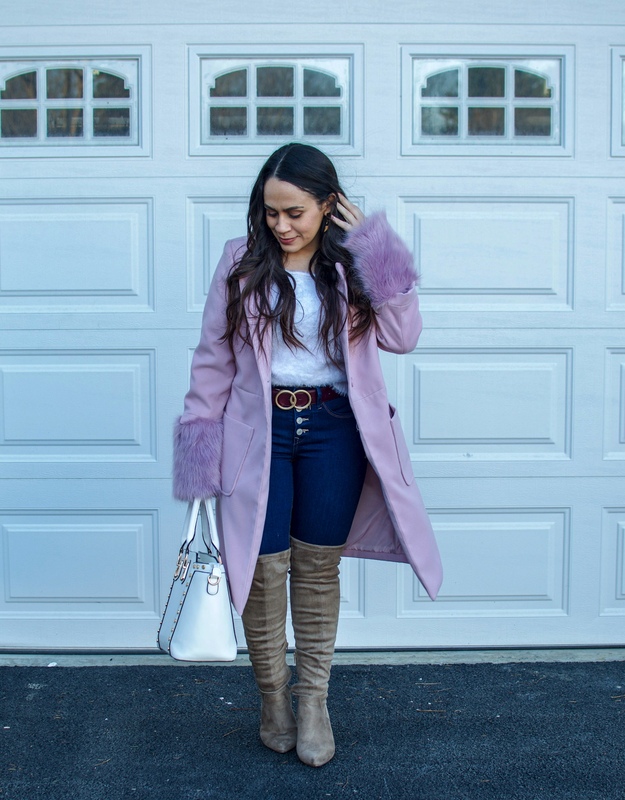 You can never have enough coats in winter. 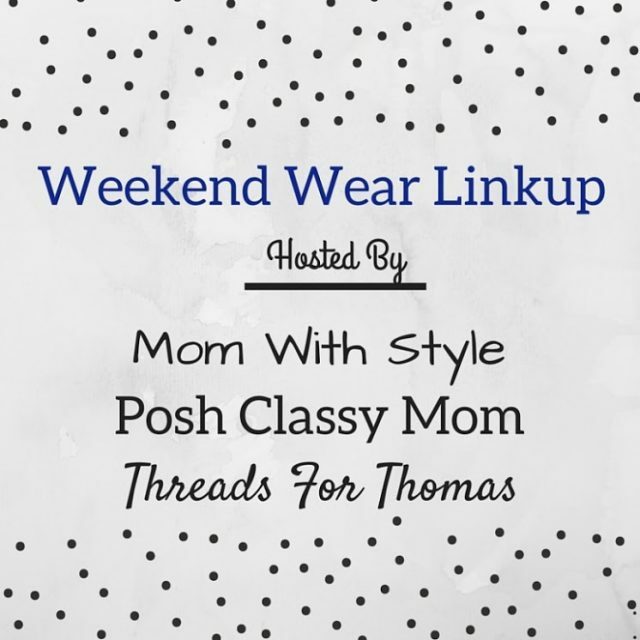 Love all these chic looks and thanks for the link up. 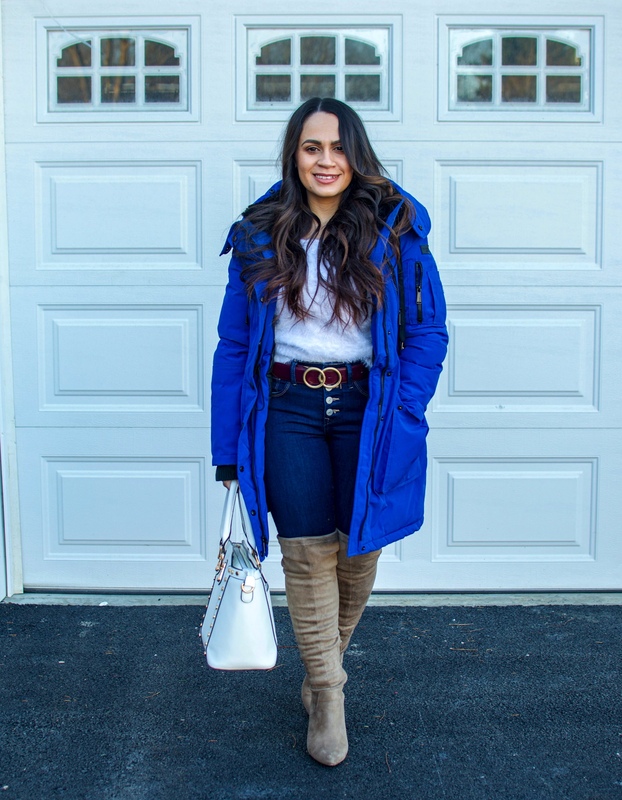 Tall boots and a good down filled coat are my winter essentials. 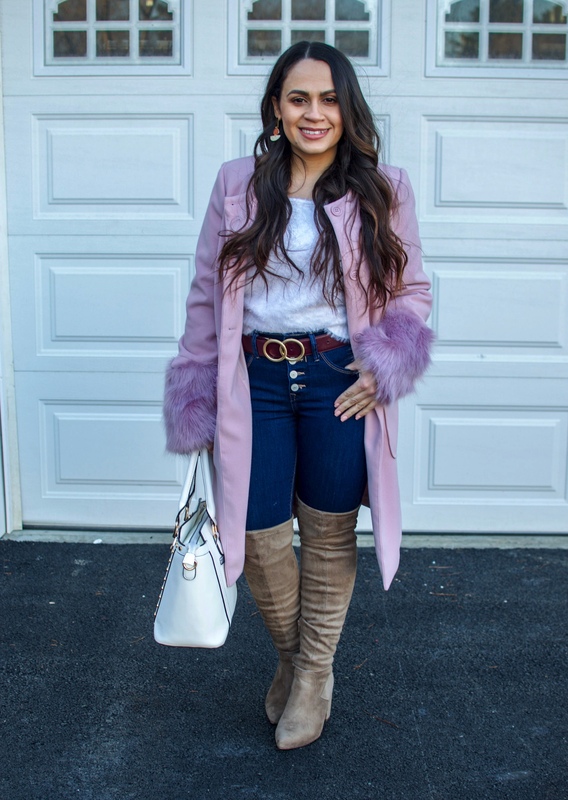 You’ve got the perfect collection of coats for this cold season! 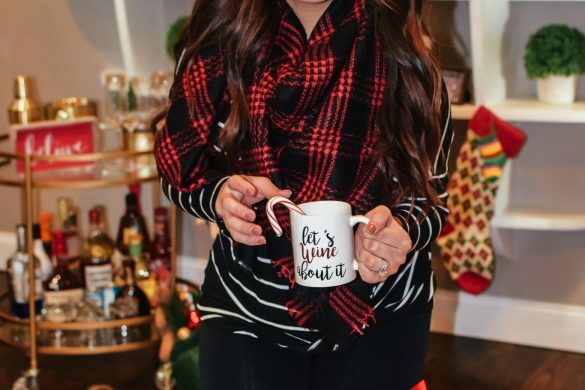 These are such great winter essentials! Both of your coats are gorgeous, but I LOVE the blue one, the color is beautiful!! 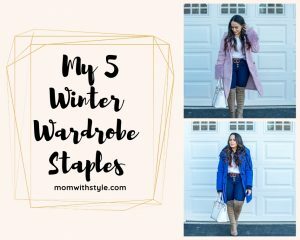 All are great winter staple! I love your blue coat and I agree that jeans are hard to find but finding the perfect pairs are worth the effort! I live in sweaters and jeans all winter long too. No plans yet this weekend. I know my family and I will go out but where we are going, I don’t know. Happy Friday and good luck on the move. 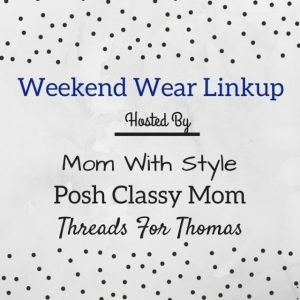 All such great and re-wearable picks! 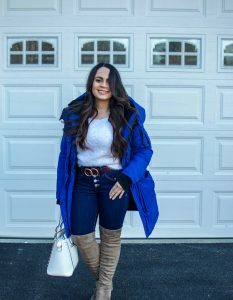 I’d be at a loss with out my super warm but still somewhat fitted winter puffer in this Northeast Ohio weather. And the skinny jeans, fuzzy sweaters and boots are so great for so many different types of outings. But that lavender coat is just an outfit maker! And such a pretty shot of spring time color during these grey months!